The eyes of the whole world have been on Prince Charles, Kate Middleton and their 8 month old son George during their tour in Australia and New Zealand in April earlier this year. This was also a very special time for anyone living in the UK as the couple with their son was the headlines of many newspapers and TV programs for obvious reasons. Nobody has any doubt that Kate’s wardrobe cost a pretty penny. Some even say that the amount she spent on her colourful wardrobe was as high as $65,000. In total, Kate was able to show off 22 looks in just 19 days, which means that she changed to another outfit more than once per day. Also, the majority of her outfits were brand new. Was it worth it? I guess everybody will have to judge for themselves. Everybody knows that Kate loves to have her leather handbag always by her side. When you look at the picture from her tour, you will see that handbags are almost always there. Of course, her handbags and purses always match the rest of her outfits, which is understandable since when it comes to Kate everything is all about fashion. I have to admit that I admire Kate’s style: her leather handbag, her original hat, all of her dresses… There was really a lot to see for every fashion enthusiast. I guess the royal tour will be remembered for a very long time. What were some of the most notable and famous names that Kate turned to to design the outfits for her? I could mention names such as Jenny Packham or Alexander McQueen, the two names that every fashion lover in the UK or anywhere else in the world has heard about. 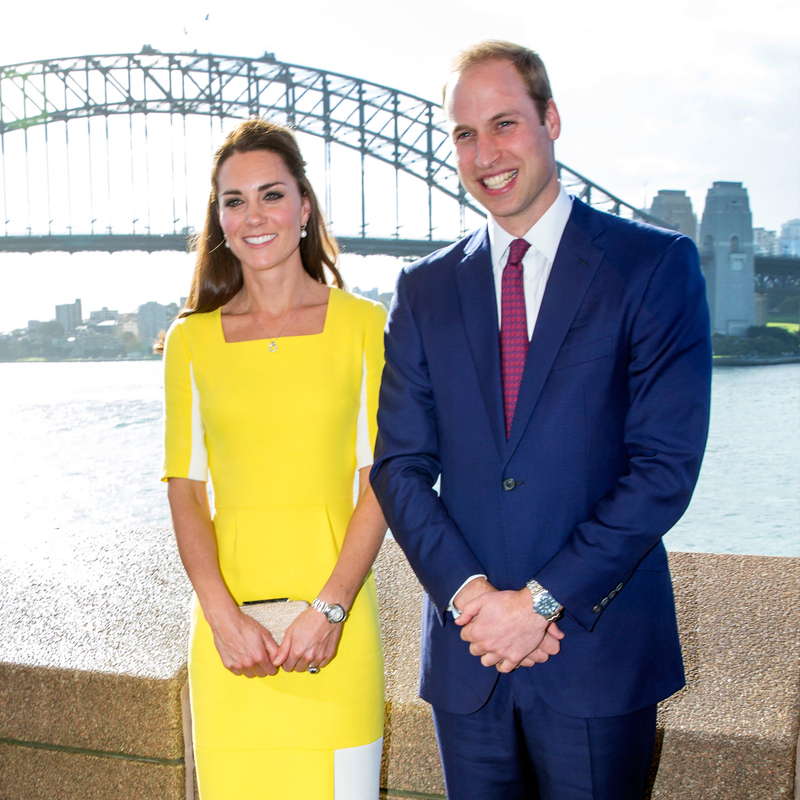 Her bespoke black Jenny Packham cocktail dress might have cost $5,202, but Kate just looked so stunning in it that it is easy to forgive Kate the amount of tax payers money she had to spend on it. I just hope that she is going to keep putting it over and over again so that we can see more of it. As a fashion enthusiast, I look forward to Kate’s next tour in the future. Her time in Australia and New Zealand showed what Kate is capable of in terms of her styling capabilities, and I am glad that the duchess is such a noble and elegant lady when it comes to being a fashion icon. With celebrities like Beyonce, Rihanna and Miley Cirus hardly being seen wearing enough clothes, the Duchess is quite a refreshing change and an inspiration for the younger ladies out there who want to show less skin and display more elegance and opulence. Fingers crossed to more fashionista’s taking style notes from her wardrobe! The way you dress is an instant indication of your character and a big influence in shaping up your personality, so being inspired by a relatable fashion icon is the right way to go.